I think that this is listing the water pump. If it is not, I could not find the right receipt - or it was never done?... This was a "trusted" TDI mechanic from this forum. I did not go back to him though. 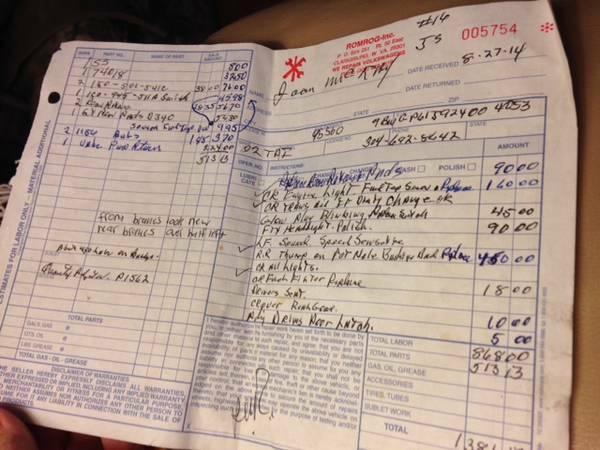 I went there after my mechanic (shown below on the timing belt invoice) died.